You would not think this Challenge to be hard. But i found a few days quite difficult to capture alot of times I have to wait and hope I can capture it the next day lol. But I still love doing it ;). Alrighty, Day 21 was oddly Peace. lol The Day that folks thought the world would end was peace. I found it funny. I chose to Snap a Picture of a Christmas Present I got today at my father in laws. 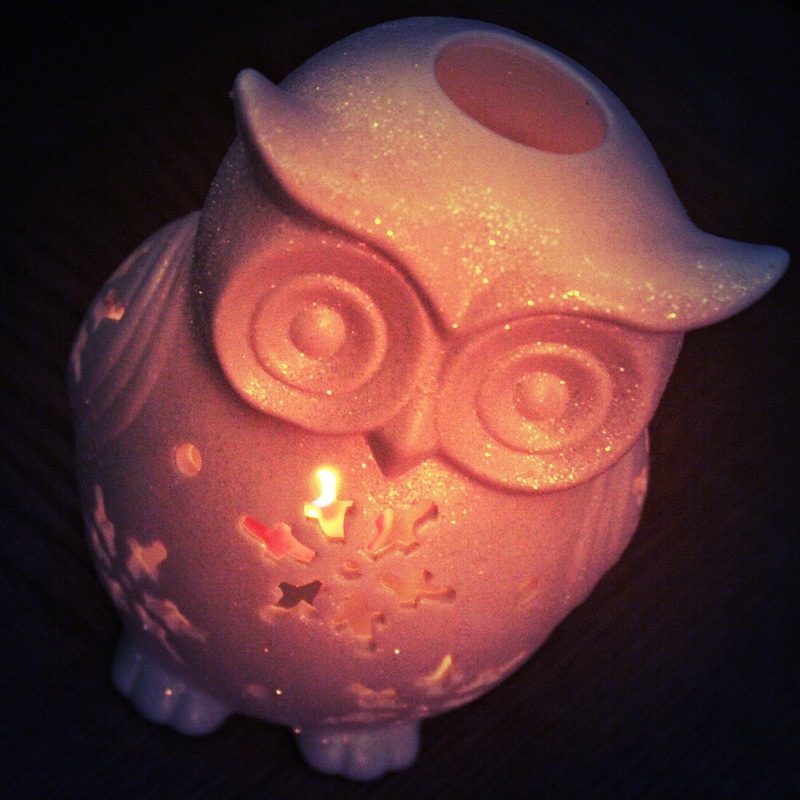 I love it, of course it's an owl lol. But basically i feel Peace in Knowing that the day Did not in on the 21, So we could spend time with our families this christmas. Day 22. Traditions, In our stockings we got alot of goodies. But there were three of the Goodies that are an old Tradition we got in our stockings this year. 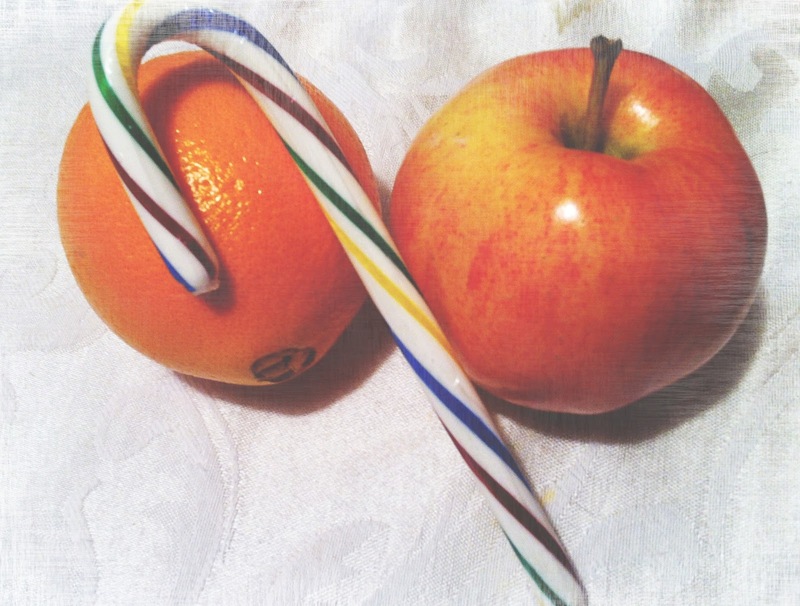 Orange, Candy Cane, and an Apple. Imma have to make me a smoothie later on with that orange and apple nom noms!! Day 23. is Scarf, I don't have anyone to snap a pic of me in it lol, but I got a good upclose of the texture of my scarf. It is Red, which is my favorite color and sooo very very soft!!! I hope whoever reads my blog gets as much Joy Seeing my Photos, as I get snapping them.